a - cup; 4.8 x 8 cm; cup, h x diam. 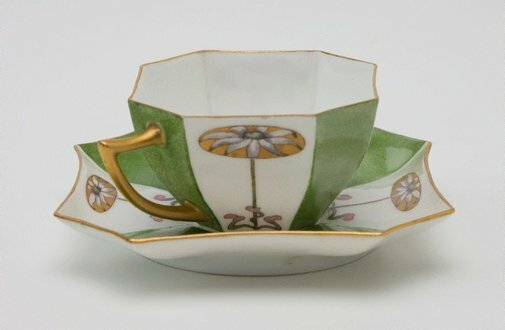 b - saucer; 12 cm; saucer, diam. Both signed on "Ethel Atkinson 1915". Look , 'In the Picture', pg. 18, Heidelberg, Jun 1998, 18 (illus.). Social riches: the Society of Arts and Crafts of New South Wales 1906-2006 , Manly, 2006, 40.